Sparkling floors without the effort. How much is your time worth to you? Save hours of exhausting scrubbing and clean your floors in a breeze with the revolutionary 360° Magic Spin Mop. Finally a solution that doesn’t cost a fortune! 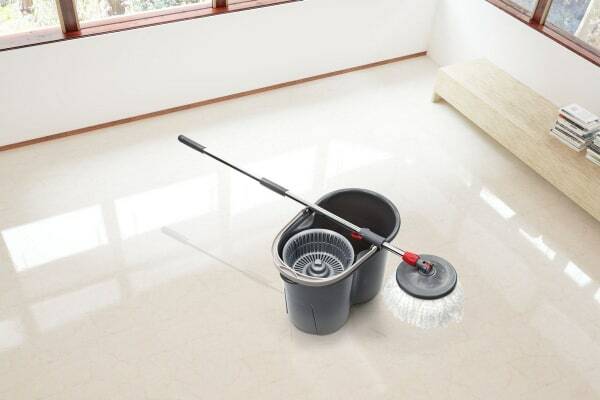 Traditional mops can be ineffective, and just push water around the floor. 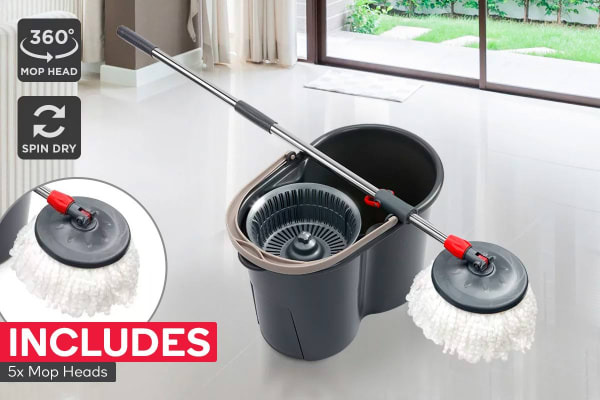 The microfibre head of the 360° Magic Spin Mop with 5 Mop Heads is ultra-plush and absorbent, meaning it picks up dirt and traps it, without leaving any streaks or residue. The low profile 360 degree swivel head gets under furniture, into corners and around obstacles to make cleaning your floors effortless. 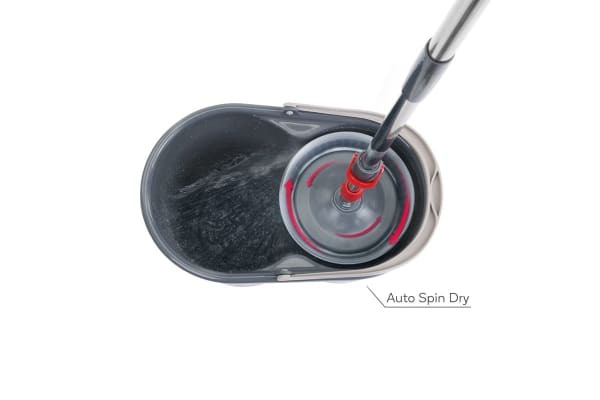 Forget expensive disposable pads and replacement mop heads every few months, the 360° Magic Spin Mop is easy to clean and re-use time after time. The microfibre head is so effective at picking up dirt that you don’t even require any cleaning solutions, just use warm water on your floors to reduce your footprint and save you money. The high quality microfibre materials are machine washable and quick-drying, meaning you can chuck them in the washer and forget about them! The 20 litre bucket has a built in spinner that removes excess water in seconds for streak free floors, and the fast drying action means you can store your mop quickly and easily without tatty, smelly fibres or the need for continual rinsing. Need some spare mop heads? Stock up with 5 Pack Refill Mop Heads for Kogan 360° Magic Mop now! Great product, easy to use. Does a great job.